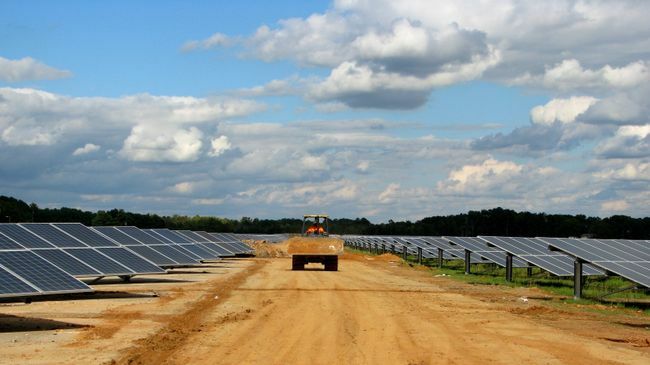 CHARLOTTE, N.C. -- In its continuing efforts to bring affordable, renewable energy to customers across the United States, Duke Energy Renewables is acquiring the 24.9-megawatt (MW) Shoreham Solar Commons project on Long Island from Invenergy. "We are excited to enter New York with a renewables project that offers many benefits to the state and local community," said Rob Caldwell, president, Duke Energy Renewables and Distributed Energy Technology. "The solar project will help meet the energy needs of LIPA's customers while delivering tremendous economic and environmental benefits." "Duke Energy has a reputation of excellence and we are pleased to help them and their stakeholders meet the increasing demand for affordable, renewable energy," said Invenergy's EVP and Chief Development Officer Bryan Schueler. "Repurposing the former Tallgrass Golf Course into a solar site eliminates the use of pesticides and fertilizers on the property, protecting Long Island's fresh water aquifer and providing environmental benefits in addition to the generation of renewable energy." Invenergy has developed more than 15,900 megawatts of projects that are in operation, construction or contracted, including wind, solar and natural gas power generation projects and energy storage facilities. For more information, please visit www.invenergyllc.com.